It was only last week that I blogged about failing Hadoop recruiter approaches. Do your research from the publicly available data. Use the graph, don't abuse it. Never try to phone me. Given it is fresh in my blog, and that that blog is associated with my name and LI profile, it's disappointing to see that people aren't reading it. A couple of days ago, someone trying to get me on Twitter looking for SAP testers, which is as relevant and appealing to me as a career opportunity in marketing. Subject: It's time for Skype. 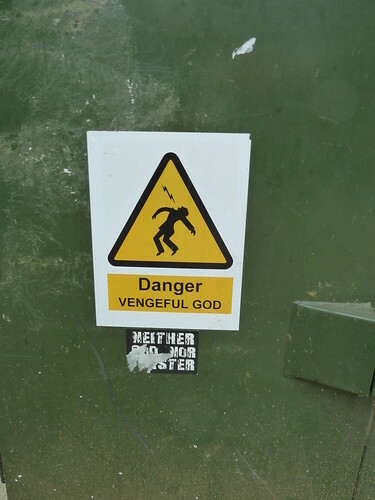 Apologies for the unsolicited nature of the message; it seemed the most confidential way to approach you, although I shall try to contact you by phone as well. I am currently working within Skype's Talent Acquisition team and the key focus in my role is to search and hire top talent in the market place. I am currently looking at succession planning both for now but also on a longer term plan. I would be keen to have a conversation with you about potential opportunities, and introduce myself and tell you more about Skype (Microsoft) and our hiring in London around "Big Data". See that? He's promising to try and contact me by phone as if I'm going to be grateful. Yet last week I stated that as my "do that and I will never speak to you" policy. Nor do I consider unsolicited emails confidential -as you can see. The data is there, use it. If you don't, well, what kind of data mining company are you? For anyone who does want an exciting and challenging job in the Hadoop world, one where your contributions will go back into open source and you will become well known and widely valued, can I instead recommend one of the open Hortonworks positions? We. Are. Having. Fun. 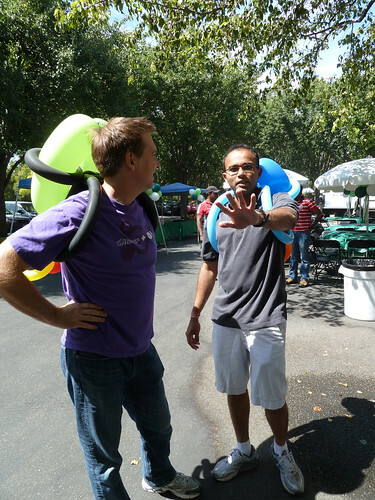 Eric14, co-founder and CTO on the left, Bikas on the right, wearing buzz lightyear ballons after food and beverages; nearby Owen is wearing facepaint. Bikas is working on Hadoop on Windows, and has two large monitors showing Windows displays in his office, alongside the Mac laptop -the outcome of that work is not just that Hadoop will be a first class citizen in the Windows platform, you'll get excellent desktop and Excel integration. Joining that team and you get to play with this stuff early -and bring it to the world. I promise I will not phone anyone up about these jobs.